The human hand has been irreplaceable in past, now with several important advances in neuroscience and robotics in recent years – the mind control prosthetic limbs is a bold development to assist people around the world. The latest technology improves the design of robotic arms and makes it more user-friendly for implementation. 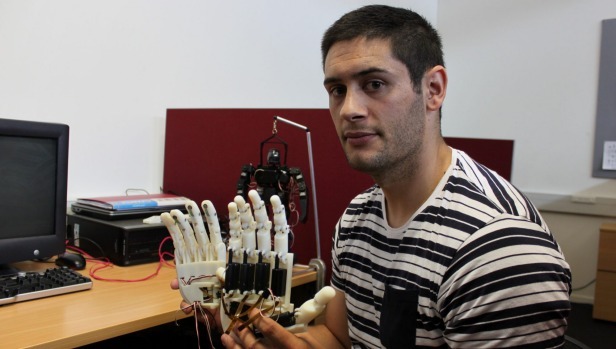 The Waikato University PHD student, Mahonri Owen is developing a brain-controlled prosthetic hand, which can perform basic functions like human. Owen has already built the 'skeleton' of the hand that could revolutionize movement for amputees, which does more than open and close action. Using Electroencephalography (EEG), the hands are able to execute basic movements. It will help people who have lost their hand through illness or injury. "Life is never the same when you lose a hand or any body part for that matter – through injury, or warfare, genetic dysfunction or illness," Owen said. "So if my research can assist their recovery then it will have been worth it," reports Stuff. He says the use of neutral interface (brain control) would also increase the rate of prosthetic acceptance. He has also awarded this year’s Rose Hellaby Postgraduate Maori Scholarship. 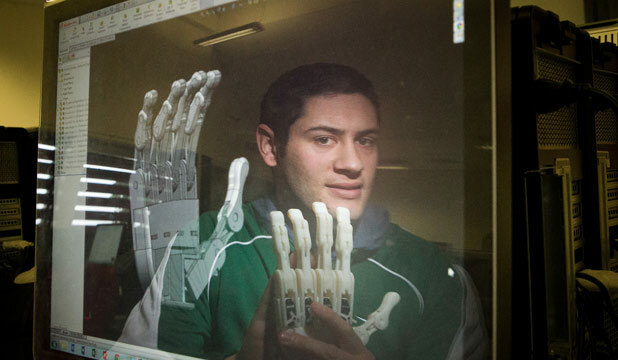 To develop the robotic arm, he spends up to six hours a day in the lab designing them, printing them and trialling them. Visit NewsHub to get the video of Owen's Invention.